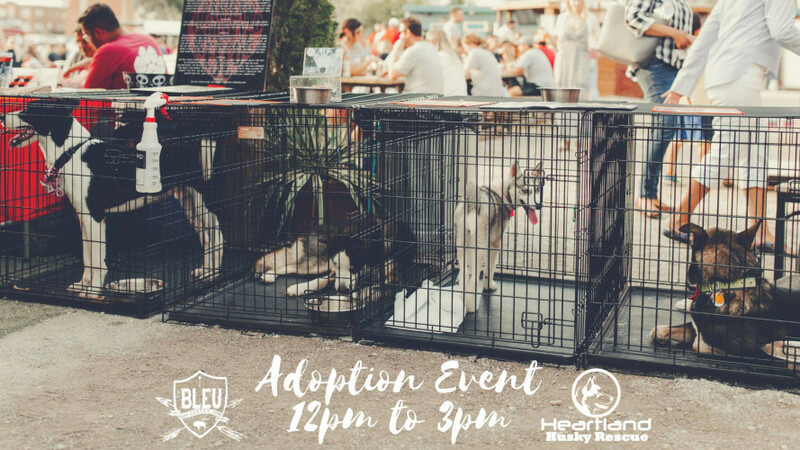 Heartland Husky Rescue Adoption Event at Bleu Garten! The Bleu Garten at 301 NW 10th St.
We're so happy and grateful to Bleu Garten for offering to make our adoption events there a regular occasion! When the weather warms up, we'll be back at Bleu Garten for monthly adoption events this spring. Come out, enjoy some adult beverages, hang out with our adorable puppies and adult dogs waiting for their forever homes, and check out our merchandise for sale - shirts, keychains, bandanas, wristbands and decals. Proceeds from sales and donations go back into helping us save more lives!